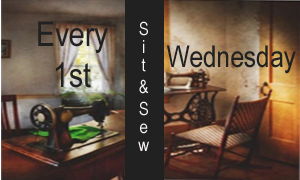 The first Wednesday of every month is an open Sit & Sew session! Bring your project and come sew with others! * Note: Please do not wear any perfumes or scented body lotions while at Block Therapy due to extreme allergies of Block Therapy customers and personnel.